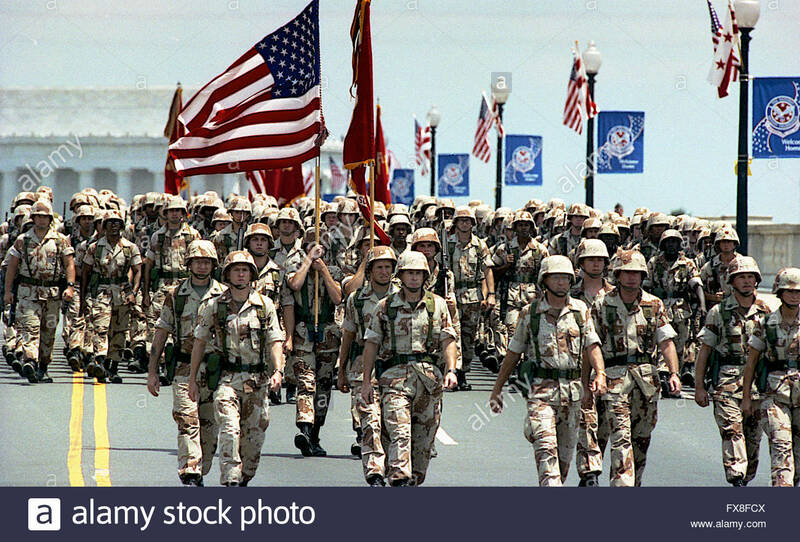 A large military parade to demonstrate how powerful the U.S. military is for all to see. It is like an adolescent game of who can spit the watermelon seed the farthest. Or a game of my army's bigger than your army! Have we not gone far enough with this insanity? The need to demonstrate how big and bad we are seems a bit lost on the world. 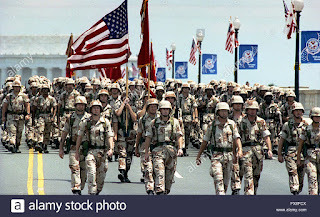 Our military is becoming a shell of its former self due to the continuing budget crises. 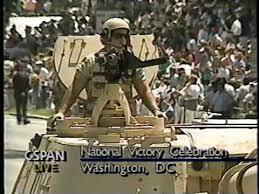 The last big military parade in Washington D.C. was during 1991 to celebrate the end of the Gulf War. What would we be celebrating this time?